Professional photographers have the ability to capture moments that elicit powerful human emotions. Steve McCurry's best-known image 'Afghan Girl', which made the cover of National Geographic, is a great example of a photo which despite its simplicity, means different things to different people. There are a variety of specialisations in photography, with different areas of the profession focusing on photojournalism, portrait, commercial and fashion, all requiring time and practice to master. In addition to being good with a camera in your hand, photographers should also be creative, confident, highly motivated and skilled at using programmes such as Adobe Photoshop and Adobe Lightroom. Robert Gordon University is based in Aberdeen, Scotland, and offers a one-year BA Commercial Photography course. Students will have the opportunity to test their skills within a choice of supported topic themes which are linked to live projects and industry liaison. The University of Westminster offer a range of photography programmes at undergraduate and postgraduate level, including the MA in Documentary Photography and Photojournalism. This course offers a unique combination of critical understanding for documentary photographers and photojournalists working in contemporary media. De Montfort University offer the unique Photography and Video BA, a combination of critical understanding for documentary photographers and photojournalists working in the field of contemporary media practice. The University of Lincoln’s undergraduate photography programme is one of the University’s design courses which ranked 1st in the UK (National Student Survey 2016). Students are encouraged to experiment and explore a variety of lens-based techniques – from traditional darkroom to innovative digital technologies. 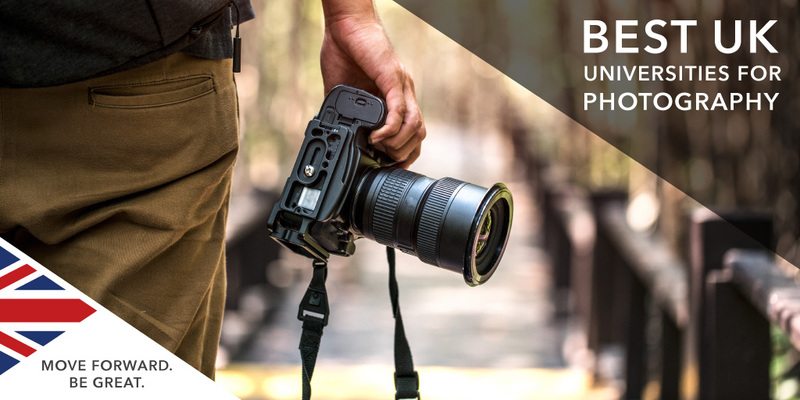 The BA (Hons) Photography course at Coventry University is degree where students are empowered with technical skills, critical knowledge and professional experience to establish a career using photography as a tool for creative expression and visual communication. By graduation, students are technologically fluent, theoretically literate, critically rigorous and context aware. Are you interested in studying photography at a UK university? If so, arrange your free consultation in London or Manchester today to get your application started. Don't forget the Art and Design Service also offers portfolio preparation advice from a practicing art academic!